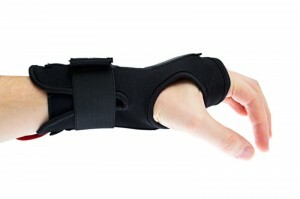 Carpal tunnel syndrome is a condition that affects the wrist. The condition is characterized by a tingling sensation, pain, numbness, weakness and pressure on the wrist, hand and arms. Carpal tunnel syndrome comes about when the median nerve on your wrist is pinched or squeezed. In case you are wondering, the median nerve is responsible for controlling sensation to your palm and fingers with the exception of the little finger. It also controls impulse to muscles which give your fingers and thumb movement. 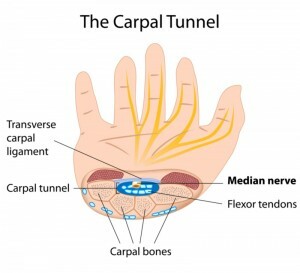 The median nerves and multiple tendons are located in the carpal tunnel. As mentioned, carpal tunnel syndrome occurs when the median nerve is compressed or pinched. This nerve runs from the forearm through the carpal tunnel and onto your hand. The pressure on the nerve leads to pain, weakness, tingling and numbness on the wrist and this can be felt on the arm as well. There are various factors that can contribute to carpal tunnel syndrome and these include build up of fluid in the carpal tunnel due to pregnancy, arthritis and conditions such as diabetes. Other conditions that can contribute to carpal tunnel syndrome include obesity, gout, lupus and others. These illnesses contribute to swelling in the soft tissues and joints on the arm consequently reducing blood flow. Smoking is also a cause and this is because it affects proper blood flow to the nerve. Tumors are uncommon causes but have been attributed to the syndrome as well as broken or dislocated bones. Carpal tunnel syndrome is often as a result of strenuous work which requires recurring hand movements.This is called cumulative trauma disorder. What Are Some of The Carpal Tunnel Syndrome Risk Factors? Some people are at a greater risk of developing carpal tunnel syndrome and these include people with health conditions that cause joint swelling or limit blood flow through the hands, age is also a factor and women are more susceptible to the condition than men. Women aged 40 to 60 have a higher risk as well as pregnant women. There is also a higher risk amongst women on birth control pills, estrogen and on menopause stage. Lifestyle choices could also attribute to carpal tunnel syndrome. Smokers and overweight people are at a higher risk. Common symptoms include numbness, tingling and weakness on the wrist and fingers. These are often felt on the parts of the hand that are controlled by the median nerve and these include all fingers except the little finger. A different nerve controls the little finger. These symptoms are often felt on both hands and the symptoms may be worse in one hand. The symptoms make it difficult for the affected to carry out simple movements due to a poor grip. Simple tasks such as brushing your hair or holding a knife and fork prove to be tricky. What Does Diagnosis of Carpal Tunnel Syndrome Entail? Specific tests are used to diagnose the condition the workers compensation doctor will test the fingers for swelling, warmth, tenderness and discoloration. The Tinel test is used and this test comprises of tapping or pressing on the median nerve. Other tests include wrist flexion and sometimes electrodiagnostic tests are carried out along with ultrasound imaging. There are two forms of treatment and these are surgical and non-surgical treatment. Non surgical treatments include: exercise, drugs such as anti-inflammatory drugs and injections of corticosteroids. Alternative therapies are also used and these are chiropractic care and acupuncture. Surgery is also an option and is quite common in patients who have had the symptoms for over six months. Surgery is done to relieve pressure on the median nerve and can be a walk in-walk out procedure. Open release surgery and endoscopic surgery are the two main forms of surgery conducted.